A brand shop covered with glasses and Black color Stainless steel flat bars in Omotesando where one of the most well known areas as sophisticated and fashionable place in Tokyo, Japan. Omotesando street, the main area is from Harajuku to Aoyama area, is known as luxury place for shopping as there are a lot of brand shops along the street. 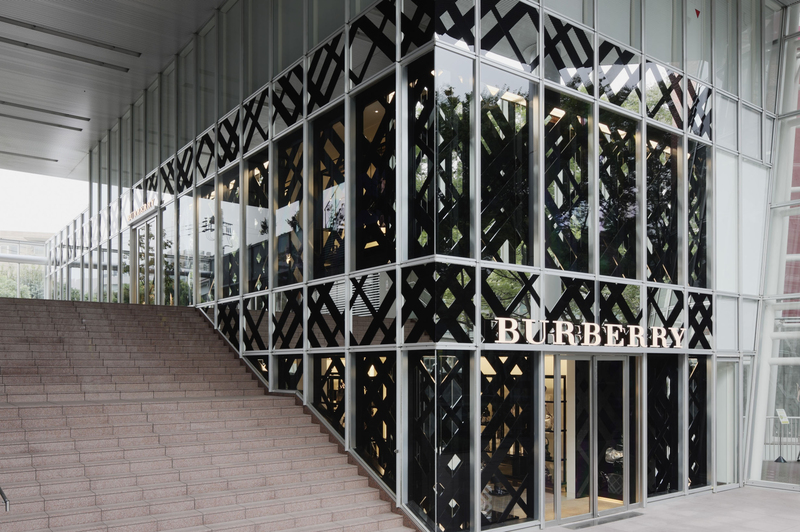 “Burberry Omotesando Tokyo Store” is at middle area of Omotesando street and many stylish people and tourists enjoy the shopping there. We supply deeply black colored stainless called “Super Black Stainless” from Japan. We have to say first that this black color is NOT PAINTING, but ORIGINAL COLOR of the stainless developed by “Electrical Chemical Coloring” method. This is a Japanese original method and the color of Black is very deep and elegant. Thus, This product is often used for Interior or Exterior of Luxury facilities like brand shops. Super Black color stainless sheet | Movie © Jem Industries Corp.